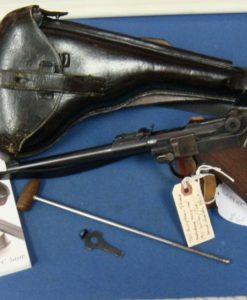 SOLD ULTRA RARE EARLY INGLIS No1 HI POWER #DP8…….CHINESE CONTRACT DEMONSTRATION PISTOL!!! In 97% condition, we have an extremely rare (1 of 14 known) Very early production Demonstration Pistol #8 Chinese Contract Inglis High Power No1 Pistol, with the original shoulder stock. 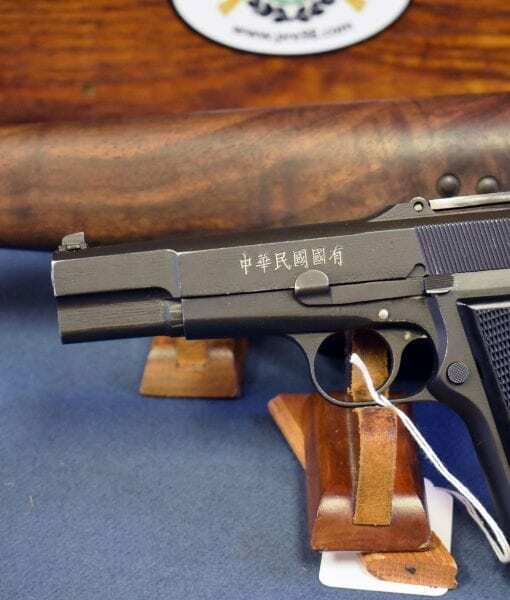 This is one of the rarest and most sought after Inglis High Power pistols ever made, It was produced and a Demonstration Model to help to with sales and information. 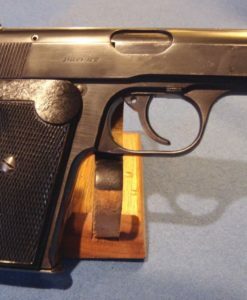 The pistol is all matching and in original condition. These pistols are described in detail in the Collector Grade Publication on Inglis pistols. 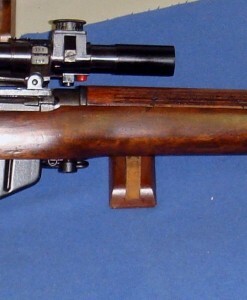 The estimated date of production would have been early 1944. 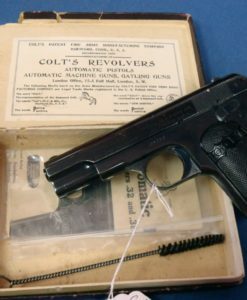 At this time the pistol was being marketed not only to the Chinese, but also the Canadian and British authorities. These very early pistols would have been used to assist in further contract orders. 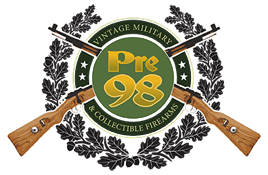 This is certainly along with the consecutively numbered DP7 aro probably the most important Inglis Pistols sold in some years.